"New" Soft-Mouth Trainer Regular Dummy from DT Systems. $8.99. Easy to throw and easy feel in their mouth. Great training tool. 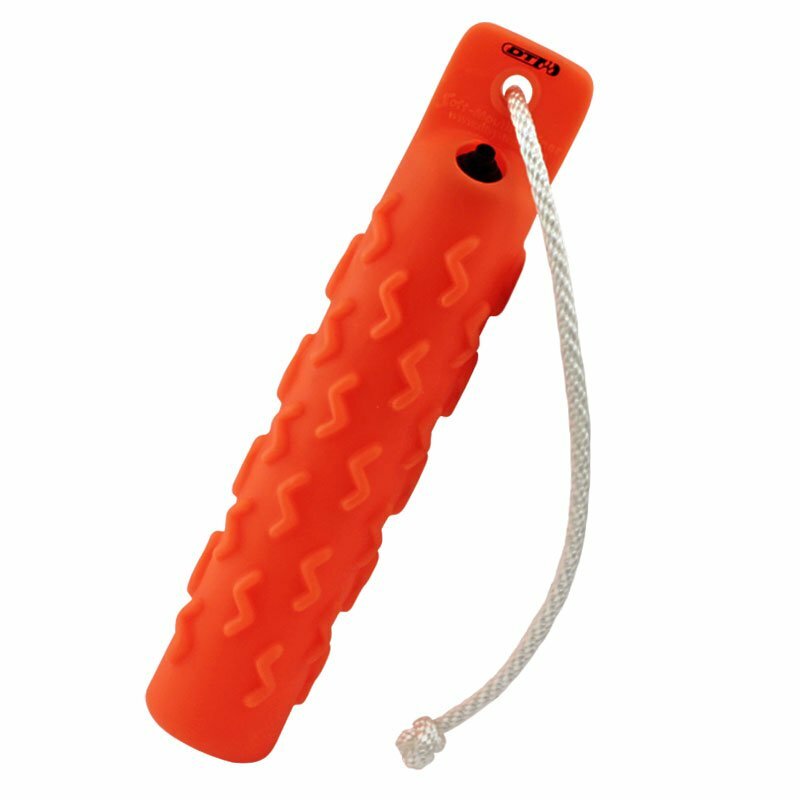 "Easy to grip and carry." I really like these, and so does my dog! Easy to grip and carry. Great bumper. Recommended to me by a professional trainer. Awesome product. I love them, and so does the dog. Brittany Spaniel. Hunts. Family pet. Very durable, and the weight is perfect for long throws. Not sure if a soft mouth is being developed, but my dog retrieved a frozen dove and handled it fairly soft, she is 7 months. 30 or more retrieves so far both on land and in water. Throw rope comes out even when I double knot it. That's why I ordered additional ropes. Today I almost ran over the rope with my lawn mower. Too big and hard for my dock diving border collie and border staffy.